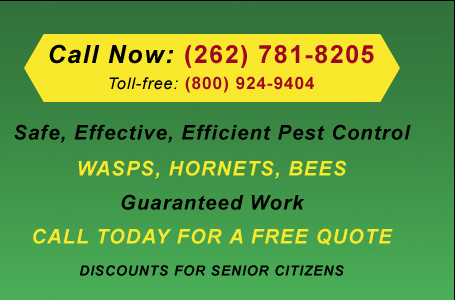 Cicada killer wasps are solitary wasps, meaning they do not work together in a colony. Rather, they tend to their nest and offspring alone. Their size makes them somewhat intimidating. Cicada killer wasps range in size from 1 inch to 2 inches long. 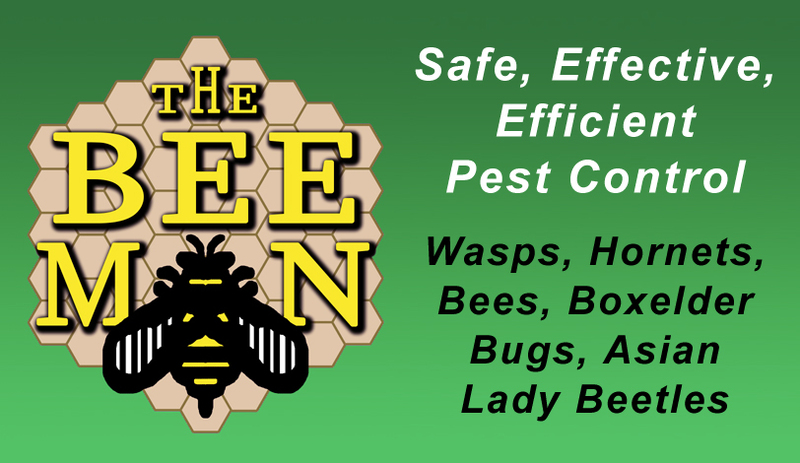 Some are similar in color to yellow jackets, with black with yellow markings, but they have rusty colored wings. Some have a reddish-orange abdomen with a black tip. One species is black with iridescent blue wings. In spite of their menacing appearance, the cicada killer wasp is very docile. The female can sting, but it is very difficult to provoke her to do so. They would rather use their venom to paralyze their prey, than as defense. The male cicada killer does not have a stinger. 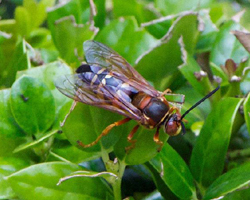 Cicada killer wasps are usually found, underground, in embankments, under sidewalks or lawns. The female cicada killer uses her venom to paralyze cicadas in July and August and places them in cells of her nest. She puts one or two paralyzed cicadas in each cell of the nest and deposits a single egg. She then closes the cell, flies away and never returns. In a few days, when the egg hatches, the larvae feeds on the cicadas until only the cicada’s outer shell remains. It then spins a cocoon and hibernates until the following spring. In spring, it will emerge as an adult. Only one generation is produced each summer. Despite their mild mannered nature, when people find them to be a nuisance, extermination is an option. Please contact our office for more information.